Fifteen minutes with Grand Theft Auto–San Andreas and Josh (age 14, under the persona of CJ in the game) has killed ten gang members and made off with over $100,000 dollars. He pulls another “Baller” out of his car and cuts him in half with a chainsaw. Then another. Slices into him again for good measure. He grabs a bazooka and blows away the guy in the back seat. There’s blood everywhere. He’s on fire today. He buys two prostitutes with his chump and gets a lap dance. Sam, Josh’s 12-year-old brother is scanning channels in the next room. He lands on a rerun of The Sopranos. Josh looks up just in time to see Christopher Moltisanti put a bullet in the brain of a Hollywood screenwriter. Gray matter splatters all over the place. Awesome. Violence has always been a part of American culture and civilization in general. If you don’t want your child to become desensitized to violence, you need to re-sensitize him to the values of your home. It’s an undisputed fact that the more violence kids are exposed to, the more desensitized they become to it. But it’s not the violence that’s the problem for families now. It’s the delivery systems used to bring that violence into the home. It used to be that you could manage your home to keep the violence outside. You only had three channels anyway. You could turn off the TV. There wasn’t a lot of violent music and talk on the radio. In those days, all we had was music about puppy love, lost love and love for the open road. We didn’t have a lot of music about hurting, abusing or killing people. The delivery systems that bring violence into the home have changed and multiplied. 200 plus channels on TV, and the higher you climb on the remote, the more violence you see. Rap music downloaded and embedded in your kid’s ears via I-pod. Satellite radio with no restrictions. Video games with a parental rating system and little else to guide you on the content. The way violence is delivered into the home has changed and that’s a very difficult thing for families to manage. Meanwhile, our kids are becoming ever more desensitized to the images and sounds of people being mutilated and degraded. The more brutality they see, the less they feel it. The challenge for parents today is to establish the separation between what’s going on inside their home and outside their home. The delivery systems of violence—especially sadistic violence–into the home have to be minimized. There’s a difference between a football video game where people are being tackled, hit and knocked down, and a game where people are being machine-gunned, stabbed and dismembered. Parents have to cut down on the delivery of sadistic, senseless violence into their home using whatever technology and empowerment they have at their disposal. If you don’t want your child to become desensitized to violence, you need to re-sensitize him to the values of your home. Keep the inside of the home separate from the outside. Here’s an effective way to do it. Instead of saying, “You can’t listen to rap music,” say, “You can’t listen to rap music in our home.” Instead of saying, “You can’t play violent video games,” tell your child, “You can’t play violent video games in our home.” Instead of giving your child unrestricted access to all 200 plus channels on TV, use the parental controls and say, “You can’t watch violent movies in our home.” You have every right and the power to establish these rules, and you should do so if you’re concerned about your child’s exposure to violence. Realize this. You can tell your child about the standards in your home, but don’t be surprised if they watch and listen to violent music, games and programming outside the home. Here’s why. The forbidden is always very alluring to kids. This is something parents need to know and understand. A kid can know something is forbidden, but doesn’t always understand that it’s hurtful. For example, take speeding on the highway. People know going over sixty five is forbidden. But they don’t realize it’s hurtful. They just think they can drive safely, that their car’s made for it, that the highway’s safe, that they’re good drivers. They don’t understand the potential for hurt there. It’s the same with kids. They know certain things are forbidden. But they don’t know how it’s really going to hurt them. They don’t know why it’s forbidden, and if you explain it to them, the explanation may or may not stick with them. Most of the time, it doesn’t, because the allure of the forbidden outweighs logic with kids. But kids do understand values when you establish them. So you need to demarcate areas where unacceptable things are not going to happen. State firmly and clearly that you are not going to do this in our home, and then uphold it. Establish a policy of zero tolerance for violence in your home. Say this to your kids: “There’s no excuse for abuse.” Establish this as a cardinal rule in your home now, before you discover your kids being hurtful with one another. If you do have a problem with a child who hurts you or his siblings, now is definitely the time to establish this policy. If this kid gets violent in your home, call the police. If he hits his siblings, press charges. If he hits you, call the police. Go to court. Call it what it is: domestic violence. Just because you’re the child’s parent doesn’t give him the right to destroy your home and to hit other kids. 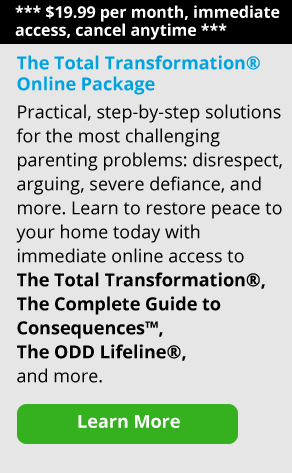 When you control the delivery systems of violence in your home and establish a zero tolerance policy, your kids can internalize that structure and understand that your home and family is not a place for violent images or behavior. They learn to separate fantasy from reality. Remember: reality is in the home. This is how we talk to each other here. This is how we treat each other at home. This is what we listen to. This is what we watch. These are the games we play. These are our family values and our family standards. Reinforce this with your kids consistently, and they will learn to make good choices outside the home and live their own lives that way. They will learn that violence is wrong and they won’t become desensitized to it.